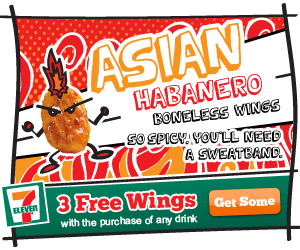 The original wings campaign we did for them was so successful that 7-Eleven rolled out additional wing flavors and promoted them with the same look and feel of the original campaign. Click here to see the original campaign. Sell out 6 of your friends for 6 free wings! (Let's be honest. 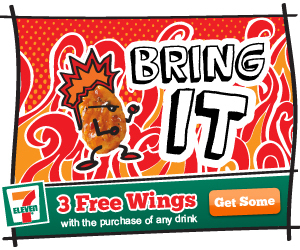 When you spam your friends to get free wings, you are not "inviting" them or "sharing" with them – you are selling them out.) So just tell the truth and enjoy some delicious wings. They come in 6 different flavors that are sauced to order.